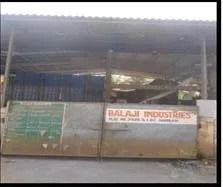 Established in the year 2006, we, "Balaji Industries", are engaged in manufacturing and wholesaling a wide range of Chemicals and Inorganic Salt. 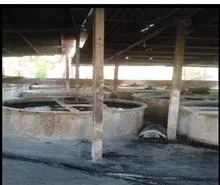 These Chemicals and Inorganic Salt are processed at our infrastructure, which is equipped with advanced technology and equipment for offering genuine quality products to the customers, we use quality ingredients for their processing. The chemicals offered by us are highly reckoned for their purity, compositional accuracy, long shelf life, excellent performance and precise pH value. We understand the demands & requirements of our customers and offer them a range of chemicals accordingly. Our products are widely used by the clients for various applications of pharmaceutical, chemical, textile & food industries and various others. Our range of chemicals is offered to the customers in appropriate packaging to ensure its safe delivery at their end within the stipulated time frame. We have a team of diligent professionals that executes the business activities and operations in a smooth manner. The range of our products undergoes a final phase of quality analysis before its dispatch, which ensures that our customers get it in its pure form. These products are in compliance with the international quality standards. We ensure to deliver these at our customers' end within the stipulated time period by our wide distribution network. Balaji Industries has been able to touch the new heights of success with the able guidance of our mentor, "Mr. Sapan Thaker". His vast industry experience and sharp business acumen have helped us to attain a remarkable position in the market within a short span of time. 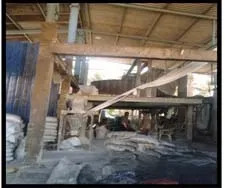 Manufacturing of Chemicals and Inorganic Salt. To offer a range of quality products to the customers, we have a team of sincere and dedicated professionals. These highly motivated professionals help us in attaining our organizational goals within the stipulated time frame. Our professionals have immense expertise and experience in their respective domains that help us in the processing of a wide range of quality chemicals. They make sure to offer the products as per the clients' requirements and demands. Moreover, we regularly conduct training sessions and seminars for our workforce to upgrade its knowledge and skills. The range of chemicals is offered to the customers by precisely processing it using high-quality ingredients. Processed under ideal conditions, these chemicals are offered to the clients after considering their requirements and demands. We assure the pure and perfect composition of our products and thus, these are widely used in various industries for different applications.